As senior custodian of her Country, Poly Ngal shares great responsibility as a keeper of cultural knowledge for her country Aharlper, located in the heart of Utopia, 250 kms North East of Alice Springs. She belongs to the oldest living generation within Utopia and is among the most accomplished painters who has worked at Utopia during the past 20 years. Poly began her career in late 1979, through the production of Batiks, made by artists in Utopia prior to the introduction of painting on canvas in the mid to late 1980s. 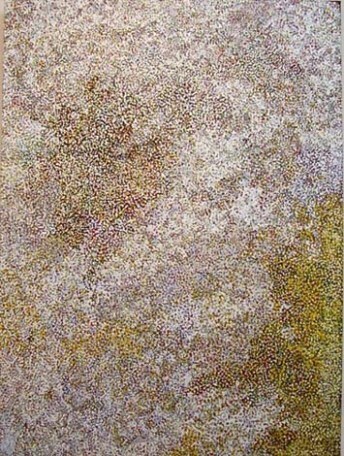 Poly Ngal's paintings often depict bright yellow seeds, feast for the emus, amongst the Bush Plums that grow in her country. 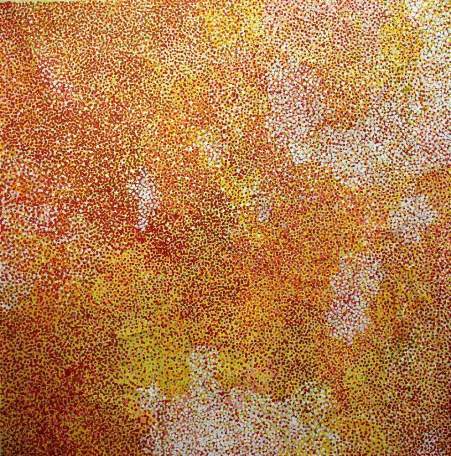 Her paintings are borne from traditional knowledge and Poly's confident approach to her work can be seen in the way she assembles streams of seeds, piling dots upon each other to create rich thick fields of glowing palettes of colour.